Join Wibu-Systems at the upcoming edition of SPS IPC Drives (hall 7 – booth 660) and experience the world of smart and digital automation designed with holistic security concepts and strategic business approaches in mind. Appreciate the tangible results in Industrie 4.0 already achieved with focused and coordinated investments and envision your own digitalization path towards the industrial manufacturing models of the future. CodeMeter v6.70 now lets you create Modified Context Files (*.WibuCmRaM) and combine Remote Update Files (*.WibuCmRaU) for Universal Firm Codes. These key features enable two new use cases: Delivering licenses without new Remote Context Files (*.WibuCmRaC) and delivering licenses when the Remote Context File is outdated. 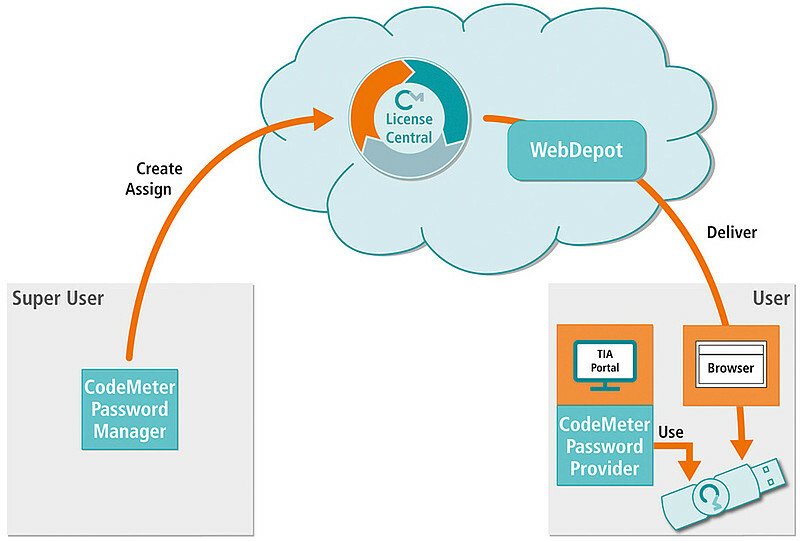 CodeMeter Cloud Lite, a license server operated by Wibu-Systems in the cloud, represents the anchor of trust for end user licenses by binding each license to a known user. The solution uses the same distribution process as used for CmDongles and machine-bound CmActLicenses. A full-featured CodeMeter Cloud solution will follow in early 2019. Read more in the latest issue of our KEYnote magazine. Our family of secure hardware elements keeps expanding and moving towards ever more rational case designs with a compact, classy, metal housing that incorporates the USB 3.1 connector. The new models are available with MLC and pSLC flash memory, partitionable into various security areas. 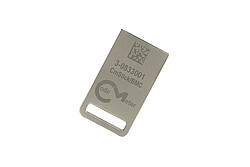 Download the datasheets of CmStick/BMI and CmStick/BMC. Our ultimate goal is to facilitate the introduction of security 4.0 by default and foster organic economic growth propelled by Industrie 4.0 principles. Here is how: CodeMeter has been implemented in the core technology of automation powerhouses such as B&R, Kontron, and Rockwell Automation, and it is interoperable with OPC UA standards. In each case, we have leveraged an extended security level to bring in a versatile license and entitlement management systems that helps vendors and their customers monetize IIoT software applications. 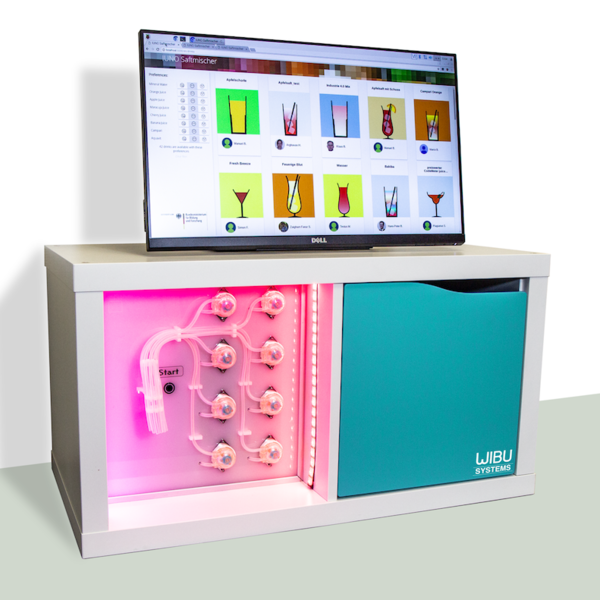 Protected from theft and illicit use, production data can be traded, licensed, and securely transmitted through the Industrial Internet to smart factories: manufacturing as a service offers commercial freedom and constant data access to sellers, makers, and buyers. 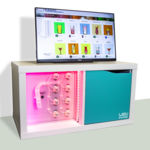 Download the use case and join us for a refreshing drink! 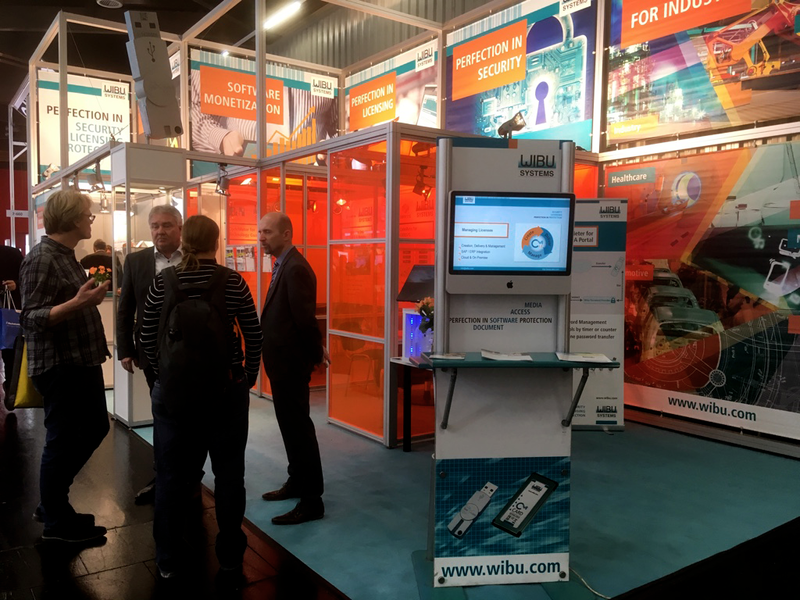 Balluff’s OPC UA enabled UHF RFID reader, supercharged with Wibu-Systems CmASIC hardware secure element, secures M2M communications at both ends, offering secure key and certificate storage and making the identity of the tag fully reliable. Download the use case and upgrade your RFID technology! By default, Siemens Totally Integrated Automation Portal is protected with generic passwords. With the integration of CodeMeter protection technology, cloud platform, and hardware secure elements, the robustness the TIA Portal® is greatly amped up. Read about all the architectural details. 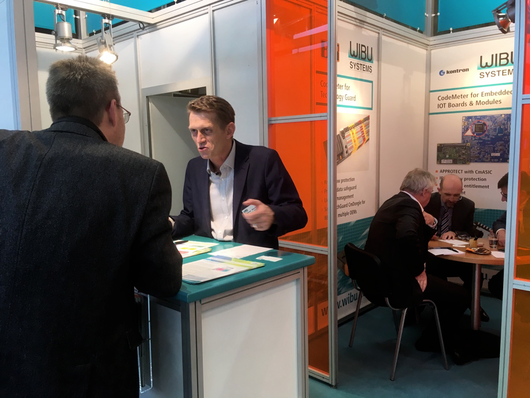 Stefan Bamberg, Wibu-Systems’ Senior Key Account and Partner Manager, will present IP Protection with the TIA Portal; Wibu-Systems offers a password managing extension that provides IP protection to Siemens’ TIA Portal customers. With a super-user placed in charge of creating passwords and setting usage restrictions, users can be assigned passwords kept in a secure CodeMeter dongle. Schedule a meeting with our experts and let us know your burning questions, dive into a deeply technical discussion, and learn why our existing customers selected CodeMeter to level up their game in the automation field. We are looking forward to starting a new adventure together founded on secure technology for a secure business. Enroll for free right now by using the code provided in the voucher below.